Photo courtesy of Staff Sgt. Samuel Morse | U.S. Air Force Master Sgt. 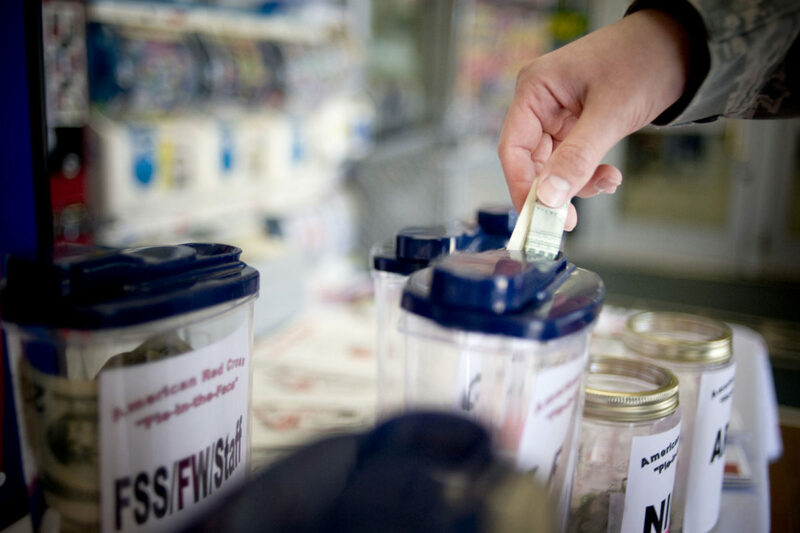 Clinton Stone puts money into a jar designated for the American Red Cross at the Misawa Air Base, Japan.